Jack: Welcome to the show today. In this episode, Jill and I talk about how top athletes compete with themselves, not really with each other. 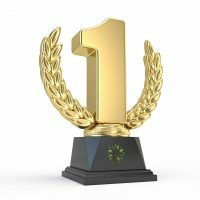 Before we get into it, let’s take a question posted by one of our members on the landinvestors.com online community. It’s free. Jack: Good for you, Angela. You’re starting with all the free stuff and you’re gonna test it a little bit. I’m not a big fan, I’m a huge fan of getting your ducks all in a row before you start, but I’m not a fan of test mailers, and here’s why. The numbers work against you. It’s kind of ironic, but follow me on this. If you send out 20 or 30 letters just to see what’s gonna happen, I’ll tell you exactly what’s gonna happen. I’m gonna save you some time and money. Nothing. There’s power in numbers, so you want to get in your first mailer, 1500 to 2000 units in the mail because there’s a real good chance you’re gonna have a positive experience, but 10 or 20 or 40, or even 500, is just too small. What you really want to do is test pricing. If you want to test it, go onto Craig’s List, make up a property that you have for sale, and test how people are gonna respond to it. Let’s say you want to buy a property. There’s an exercise in the free e-book I would encourage you to test that way. If you don’t have the free e-book, please go download it. It describes in detail how you should test it. Go ahead, Jill. Jill: I was raising my hand. Jill: I wanted to make sure I raise my hand, so that you knew that I wanted to share. Jack: Jack, you have a way of taking things over and being the manager of everything, including everything. Jill: Jill, your sock drawer is a mess. Here’s what we’re doing today. Jack: You don’t have a sock drawer. Do you have a sock drawer? Jill: No, I have a sock area in a bigger drawer. Sock drawer. Anyway. These bras here, they are all messed up. This is just a shambles here. Whatever. Jack: You had the same conversation with your mother that you have with your wife like 30 years later. Jill: What? How did that happen, seriously? Jack: I don’t know. Sock drawer, I had dreamt it. See, Jack, your sock drawer is a disaster. Really, mom? Jack: I didn’t even know I had a sock drawer. Jill: No, okay. So here’s my thing that Angela can do. I have an excellent way to help you, Angela, with this test, or anybody who just wants to test this. You can right now, today, go on offers2owners.com, with the number 2, go to forms, and steal if you want, whatever term you want to use, use whatever. Use our template letter. If you want an idea of what we’re doing and the offers we send out, go get ours. Go take it, right there, right now, today. Angela, feel free. Go on there. Download my stuff. And then, if you want to take it a step further, I mean don’t even do any of our stuff. Just do Offers 2 Owners. We’ll pull the data for you. You can call … This is really not a plug. I don’t mean it to be a plug. Jack: We designed it to help people just like this. Jill: Right. This is for you, Angela. If you don’t want to be in our world at all, but gosh you just want to get offers or something out to a group in an area, we’ll do it for you. Go on there. You could literally pick up the phone, call the 800 number, talk to Yanni or Jen or Aaron, whoever answers the phone, and put in an order. Just say, “Hey” … You could even do this, just so you know. You can say, “Hey, I’m thinking about sending 500 offer letters out to this zip code for all the three bedroom, two bath homes with all of this criteria.” And they’ll go, “All right.” They’ll come back and say, “All right. We ran it. We’ve got the 500.” They’ll send you the data. You take the data. You do what Jack just said. You can scrub it down, price it however you want. Send it back to them with the … You take our letter, make it yours, and they’ll do the mail merge for you and put it in the mail. So, no handwriting. Don’t send postcards. Don’t be silly. We can help you. You don’t have to be a member of anything, sorry. Jack: No, to directly answer your first question was I live in a state where I don’t see a lot of property for sale. Trust me on this. The more creative you get with these two things, the more successful you’re gonna be. Pricing, which Jill kind of alluded to, and location of where you’re sending the mailers. We have a non-member who’s using Offers 2 Owners to mail out niche condominiums in 55 plus communities in Florida, and the guy’s knocking it out of the park. How do we know that he’s knocking it out of the park? Because he keeps ordering more data. Jill: Because he calls back for more data, yeah. Jill: Yeah. He hangs up, when he gets the data. He’s pretty much, as such as the data pops in, he’s putting in another order for more. It’s like, “Oh, I didn’t know you guys were here.” We’re here now. We got here as fast as we could. Jill: That’s what I say. Jack: Exactly. We’re developing these tools as fast as we can. Jill: Yeah, and it’s for everybody. Whatever property type. Whatever you’re doing. You’re on the right path, Angela. You get it, to do a letter campaign. Don’t drive for dollars. Don’t try to get phone numbers and call people. That’s the slow way. And the not productive way. Jack: Well, you’re 90% of the way there by just listening to this show, and understanding the concept of using the mail, using offers. 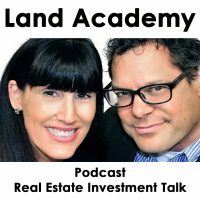 Jack: If you have a question, or you’d like to be on the show, reach out to either one of us on landinvestors.com. Today’s topic, top athletes compete with themselves. This is the meat of the show. What the heck is Jack talking about now? I see this in real estate, especially with older investors, where it’s just this competition. I see it in real estate agents all the time, even in their own office. “Oh, I’ve got to get there first before that guy over there.” Stop that. Forget about everybody. Just concentrate. Keep your head down. Get your stuff in the mail and follow through. I see this in Luke Smith. He doesn’t even know it. He’s got, whatever, 1200 properties listed on … One of our members, Luke Smith. 1200 properties listed on his site. He’s not competing against anyone else in our group or anyone. He’s competing with himself. Jill: And he’s helping people. Jill: I look at it this way, this is the … and at some level, there is no competition. You’re gonna get to that level. If you do what Jack said, keep your head down and just power through. At some level, you’re gonna come up for air and you’re gonna realize, “There’s nobody here. It’s just me.” It’s only you. Jill: I don’t have one. Jack: It makes a lot of sense. Jill: I’m not gonna mess with them. Jack: Right. It makes a lot of sense for some people to just mail back tax property. It makes a lot of sense for some people to solely work on tax liens. For us, it doesn’t. It makes a lot of sense for us to send a lot of mail out. Jack: The word compete, I don’t see it. I just don’t. I wanted to clarify that, because somebody asked me recently. Who’s your competitor? Jill: Who’s your … Oh. Jack: Or how does this work. I just don’t see it that way. Jack: I’m trying to top my … I look at all the websites that we have and the property that we buy. I’m trying to look at the last month, and just make sure that this month is better. That’s what analytics are all about. Jill: Here’s another point when you just brought up about we have no competition. The products and things that we’re rolling out don’t even exist. Jill: That’s, for me, a huge one. It’s not like I’m trying to one up the next parcel fact, the next engineering thing out there, because there isn’t one. Jack: Yeah, there’s no parcel fact competition. Jack: Offers 2 Owners, there’s mail companies. Jill: And I’m not trying to create something because I need to create something, like I feel like I’ve got to do this. I’m going for a Nobel peace prize. No. Jill: That’s not what I’m going for. No. I am here with you, Jack, to solve some problems, man. And make my business and everybody in this business’ life a little better and easier, and we can all do things and make more money, myself included. Jack: How that for honesty? Jill: There you go. Yeah, because you know what. Do you think that we worked so hard to get this relationship and this data and all this stuff to release a product like parcel fact to not include me? No. I need it. Man, I wish a had it a year ago. Jack: We use all these tools. Jill: Gosh, it would have saved me so much time. Jack: We’re about to release a company called escrow perfect. Long story short, you put in an APN and we close the deal for you, for not a lot of money. And it’s the same people that are closing the deal that close our deals. We’re just asking them to close it for other people. And man, the emails that I’m getting about, please sign me up, are amazing. Jill: Yeah. Because when you realize what the mark-up is on some of these things, everyone, it’s staggering. Jack: Yeah, exactly. And we take care of that. We take the excessive Wall Street greed out of all of this. Jill: This is one of those things that makes me mad. Jack: I know, Jill. Oh, good. Get mad. Jack: I love when you get mad. Jill: Yeah. And people who really needed it for their kids and stuff, they couldn’t afford it. Just cause of greed. Pure greed. Jill: “Eh, cause I can. No one else has one.” Okay, that’s ridiculous. Jack: I mean, a typical mark-up when you get title insurance or escrow, I mean the whole thing costs maybe 200 bucks. Jill: Yes. It’s an EpiPen scenario. Jack: And they charge 1400 sometimes. It’s really silly. Jill: Don’t be the EpiPen of title insurance. Jack: If you already have a title insurance company, you already are. Jack: We’re gonna wreck it for you, sorry. Jill: Yeah, we’re wrecking it. Sorry. We’re bringing way back down more in line because that’s just ridiculous. Jack: My point is compete with yourself. Set some parameters. Here’s a parameter that you should consider setting, if you’ve done, Jill likes to say 10 deals. If you’ve flipped 10 pieces of real estate and you get it now, and you’re really going back over and getting the right phone number and getting organized. What you want to do is set a parameter for how much money you need to make per deal. Maybe it’s 10,000 bucks. Maybe it’s 100,000. And then don’t move off of it, with a few exceptions. Don’t just do a deal and make 800 bucks if your parameter’s 1500. That’s competing with yourself and setting rules. It’s not looking over your shoulder to see who else is doing what. Jill: Don’t back down. Don’t get distracted. That’s good. That’s good advice, Jack. Jack: If you’re in the information gathering stage, like Angela on the question today, that’s great. There’s a lot of stuff that you can do. Don’t listen to my advice. Don’t compete with yourself. Take it all in. Listen to the show. Run a test. Whatever tests you think. Eventually you’re gonna find your little niche in all this, and then go to town. Join us in our next episode where we discuss the top three places investors get stuck, the bottlenecks. Jill: This will be good. And we answer Andy’s question about sell before you buy. How much can you advertise? Jack: That’s a fantastic question. I can’t wait to answer that, actually. You are not alone in your real estate ambition. Jill: Top athletes. Who’s your top athlete? Do you have one? Jill: I thought I was dating you. Jill: Silly. Sorry. A little punchy. Jill: Do you know who I thought you were gonna say? Go ahead. Jill: I thought you were gonna say Gordie Howe. Jill: I thought he was your all-time favorite athlete. Jack: Yeah, he probably is. Jack: It’s a Detroit … but when you look at Michael Jordan play, and the look on his face, he’s not even there. He’s somewhere in his head. And that’s what I, I really respect that. Gordie Howe is somewhat of a showman. I’m really dating myself there. Jill: Well, it’s funny. The only athlete that I ever really got into and followed and stuff for years, and I would put on social hero as he’s my hero, is a guy named Ruud Gullit. Jill: See? You didn’t know this about me. Dutch soccer player. Jack: He takes his shirt off often? Jill: No. Crazy hair and just an outstanding athlete and I just followed him. Remember, he actually coached here. He coached the LA Galaxy here for, or was it the national? Jack: Oh, I know who you’re talking about. Jill: Was it here? Well, anyway, let’s put it this way. Outstanding athlete. Horrible coaching career. It didn’t last a season. Jack: It’s like Wayne Gretzky. Jack: He’s good at nothing except being a hockey player. Jack: Not a good owner, not a good manager, not a good coach. Jill: Yeah. But I totally, totally love the guy. Just an awesome athlete. This was years ago, so anyway. Thank you for sharing, letting me share. Jill: Old soccer talk, whatever, please subscribe and rate us on iTunes or wherever you’re listening. Jack: Information and inspiration to buy undervalued assets.